Part of this defensive activity may have been a reaction to increased English interest in the area. Henry VIII declared himself King of Ireland in 1560 and by 1595 O’Neill and O’Donnell were in open rebellion against his daughter Elizabeth I. To the right is a copy of the first map drawn of the area with some colour added. It was drawn in 1600 to record the fortifications erected by the English along the Foyle during what became known as the Nine Years War. 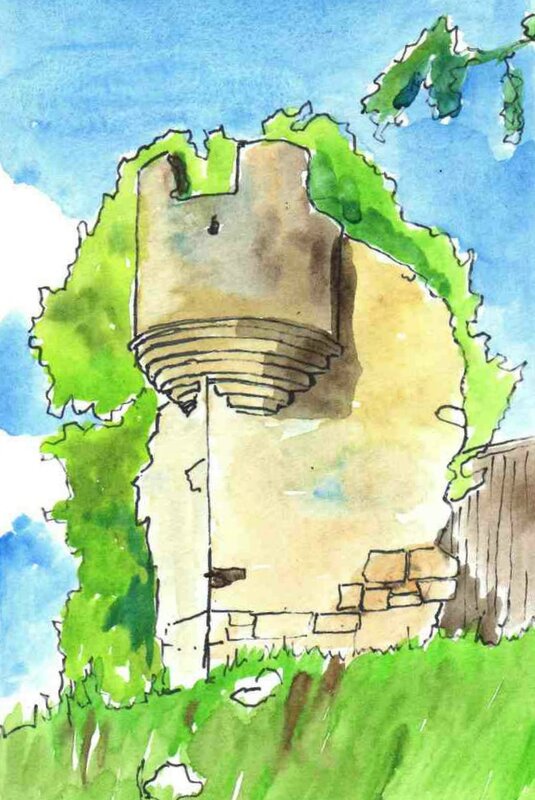 O’Neill had demolished his tower house in Strabane by this time but O’Donnell’s tower in Lifford can be seen. After the war a new King, James I of England and VI of Scotland, allowed O’Neill and O’Donnell to return to their lands. But some places, like Lifford and Derry were given to former soldiers and English laws were increasingly introduced. 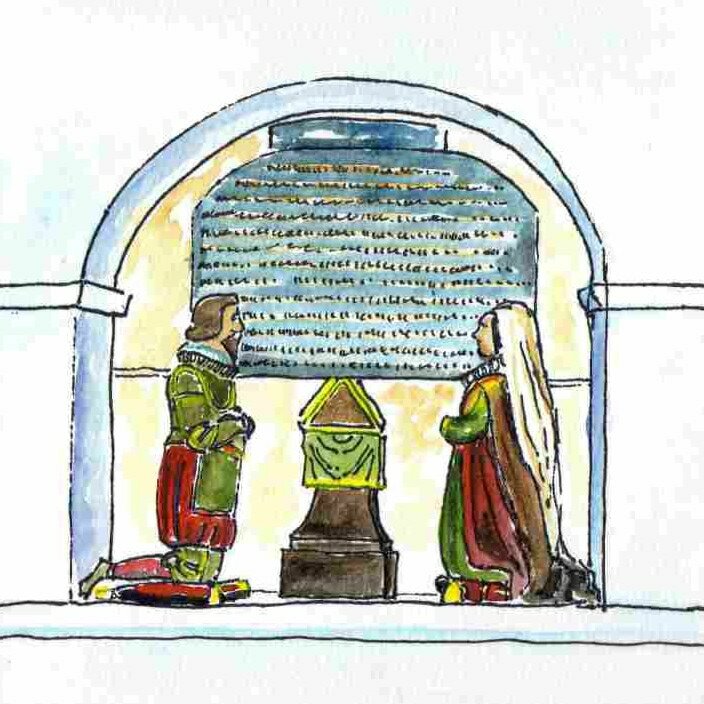 This memorial of 1622 to Sir Richard Hansard and his wife Anne in Lifford church explains that he was originally from Lincolnshire, educated at Cambridge and then became a soldier. He served during the Nine Years War and became governor of Lifford at its end. James gave him permission to found a corporate town at Lifford as part of the Ulster Plantation in 1610. The principal undertaker in the area was James Hamilton, 1st Earl Abercorn. A privy councillor in the Scottish court he was encouraged by the King to take part in the plantation of this area. 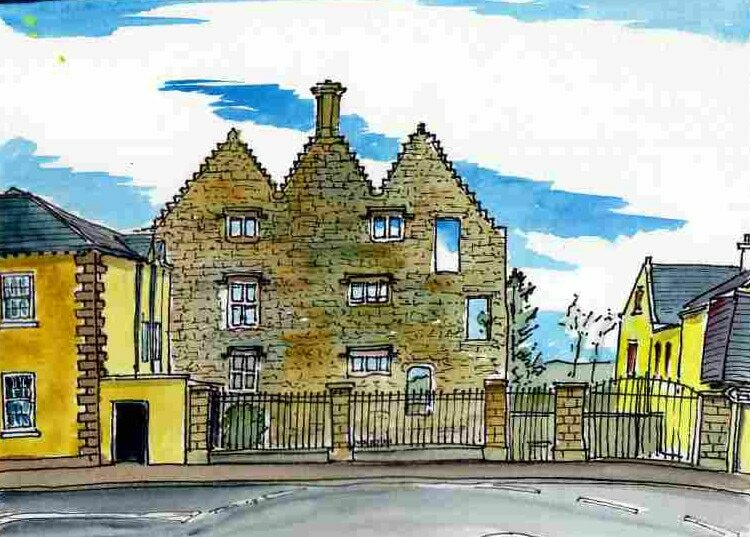 He was instrumental in Strabane receiving a Royal Charter in 1613 and had built a ‘strong and fair’ castle there (in Castle Street) by 1618 but the town was not fortified. The town corporation had 13 members. The Earl also began construction of a church but this was not completed until later in the century. 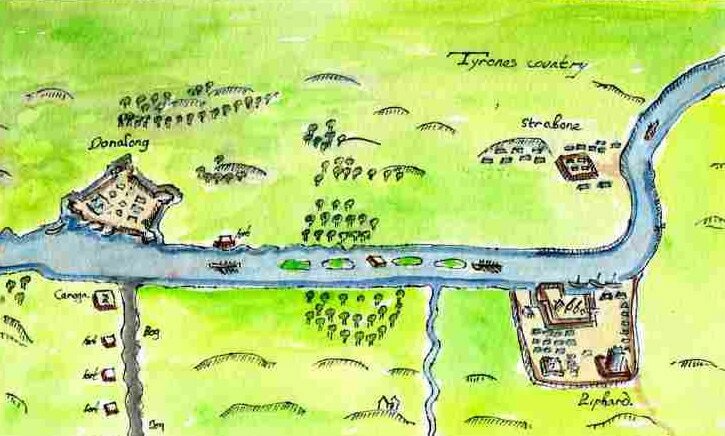 Docra's map of the Strabane area, 1600.